Red Rock Season is here! 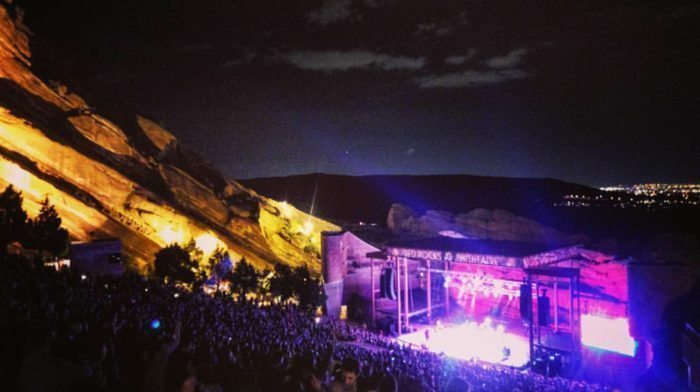 Check out my concert Colorado Concert Calendar for more shows! Happy Friday! Ugh, where did this month go? I think I have attended 8 birthday parties this month 2 including my own so it’s been NON-STOP every day this month. That’s why I am stoked for a party free weekend, finally! This weekend my boyfriend and I are headed to Salida for a relaxing weekend in the mountains. We plan to visit a few wineries, hike around town and just chill. Follow along with me on Instagram and on snap chat too @bluemountainbel. Bots on Bots: If you keep up with tech then you have probably seen the word ‘bots’ a lot recently. IoT (internet of things) and Bots are the biggest trends in Tech right now. Bots are smalls apps that work with messaging apps like Slack to help get things done. This is a great read on boats and how they are going to change our world. Sketchy Shopping: I have been super skeptical of some of these Facebook ads of clothing and models that look just like the runway. But after reading this Buzzfeed article and this one too. I for sure won’t be ordering from any of these websites. Yes, you will probably get what you ordered but it will be cheap and basically no way to return it. I have seen my beloved Tobi listed in some of these articles and I have to say I have NEVER had a bad experience with them and have been ordering for years. They carry high-quality and low-quality clothing and I find them comparable to a Foreve21. Denver Food Trucks are back! Floor length floral Skirt? Check! Adorable Rompers for under $100 yes please! It sounds like you have a very busy life!! Hopefully this weekend you get to sit back and chill!